This recent hot and cold weather has left my skin feeling a little lacklustre. Like the weather I don't think it knows whats going on at the moment, so I've been using a bunch of products to try and install some harmony back into my complexion. I mainly suffer from dry skin so products that fight this are what I also reach for. 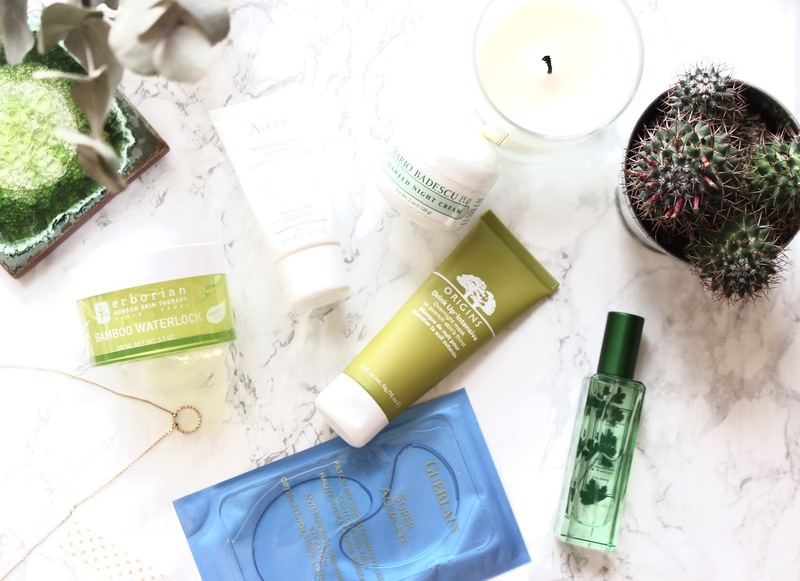 Starting with masks one of my all time favourite masks is the Overnight Drink Me Up Overnight Intensive Mask from Origins. It smells like mango's and leaves your skin feeling fresh and plump in the morning. It's also clear if you ever want to wear it on a plane without looking like a crazy person. 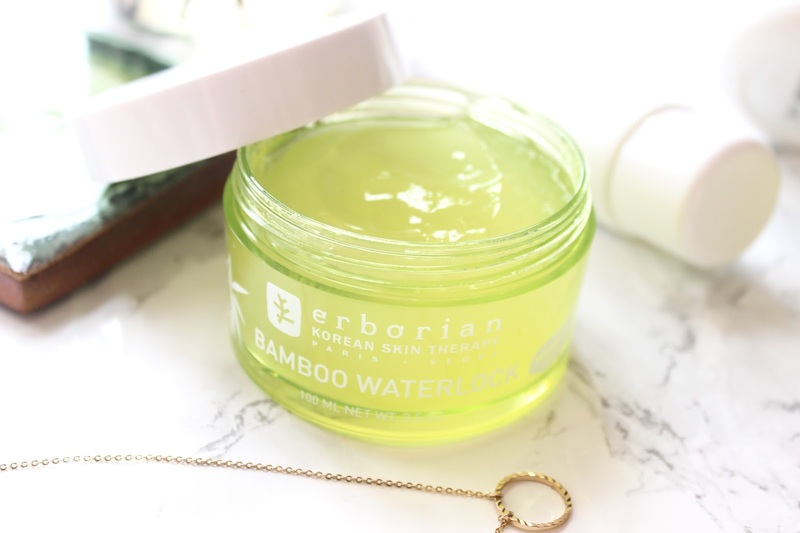 Another mask that does something similar is the Erborian Bamboo Waterlook Mask, which has a gelly like texture and looks like it would slip off your face but surprising feels quite comfortable. I wouldn't say this is a mask that you can sleep in but it's lovely to put on for a half of hour for a quick dose of moisture. 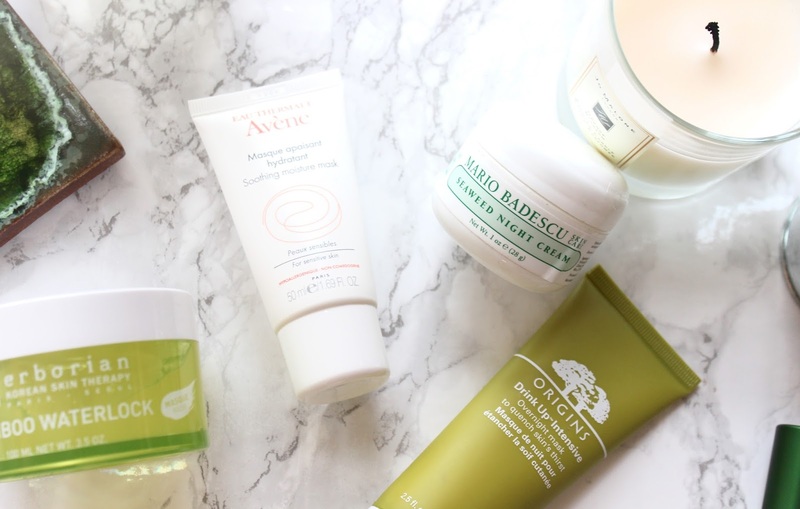 Since my trip to the South of France with Avene (see post here and here) I've been head over heels for their products, particularly their Soothing Moisture Mask. 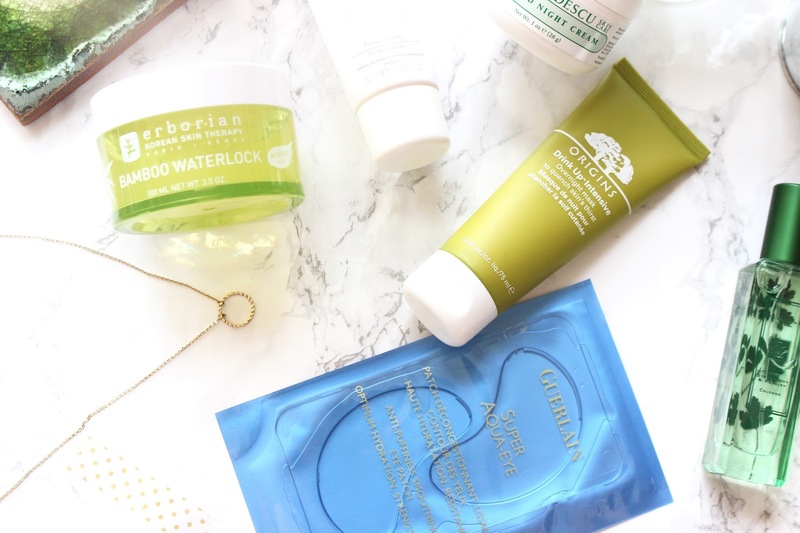 It's the lightest mask I've ever tried, in fact it just feels like you're putting on a light moisturiser but it's packed full of ingredients to treat dry and dehydrated skin. If you really hate sleeping in thick creams then I'd definitely give this one ago, it's also the most affordable at only £11.50! Another mask I like to sleep in (can you see a theme here?!) is the Mario Badescu Seaweed Night Cream, which is the thickest, most nourishing cream I've ever used. This is my go to product when my skin is feeling a bit crappy, I apply a really thick layer before bed and wake up with glowing and I mean glowing skin. Lastly, isn't a mask but the dreamiest eye patches you'll ever find. 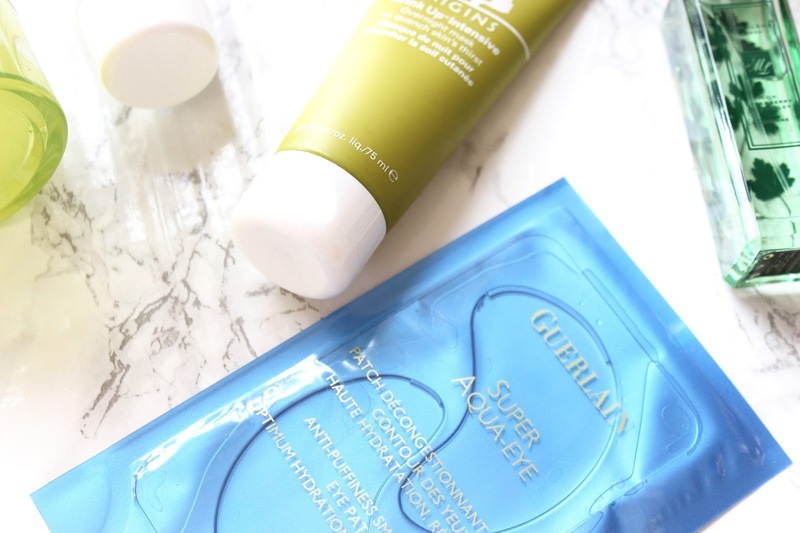 These are the Super Aqua Eye Masks from Guerlain and yes they're pricey, but boy do they work. Due to the price I tend to save these mainly for when I have an event coming up or if my skin is having a really rubbish time. They are super hydrating and act as a decongestant to drain the under eye area. They're enriched with desert rose flower and a bunch of active ingredients to both soothe and provide an anti-aging effect to the delicate area. If you keep them in the fridge they also work to de-puff the under eye area and make you look like a new woman. What are your top products when your skin isn't behaving? I love the Origins drink me up overnight mask! I also really love there rose clay one however when it dries it's make my skin feel so uncomfortable while it's on but once a its off my skin feel so smooth!